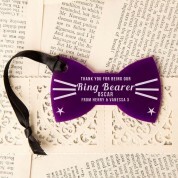 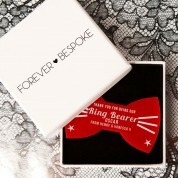 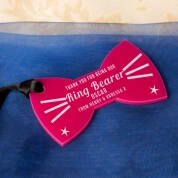 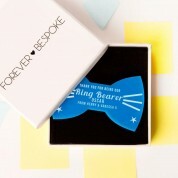 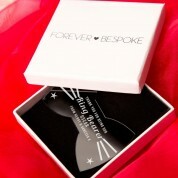 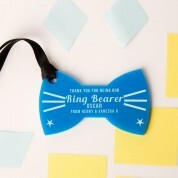 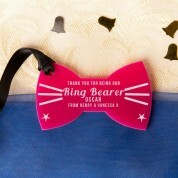 This personalised bow tie makes a unique gift to say thank you to your ringbearer for leading the bride up the aisle. 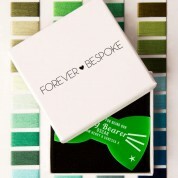 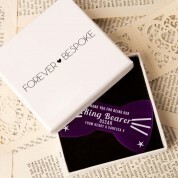 It is available in 6 different colours to suit any wedding colour scheme: black, red, blue, green, pink or purple. 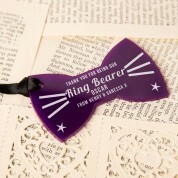 The back loop of ribbon means the bow tie can be easily hung up in the home on a window latch, pin board or on a cupboard handle. 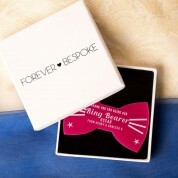 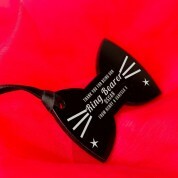 Each bow tie is personalised in house so we can add his first name and a short love from message. 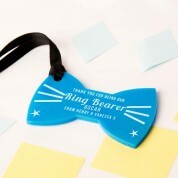 The standard text is 'Thank you for being our ringbearer'. 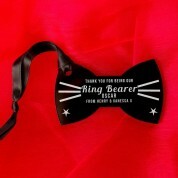 There are other bow ties available in different designs suitable for the male wedding party. 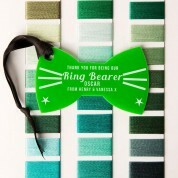 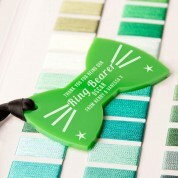 Choose the bow tie colour you would prefer from the options. 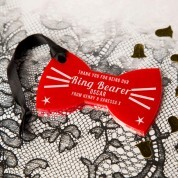 Dimensions: approx 7.5 x 4.5cm.